How this Christmas classic means so much more to military families. 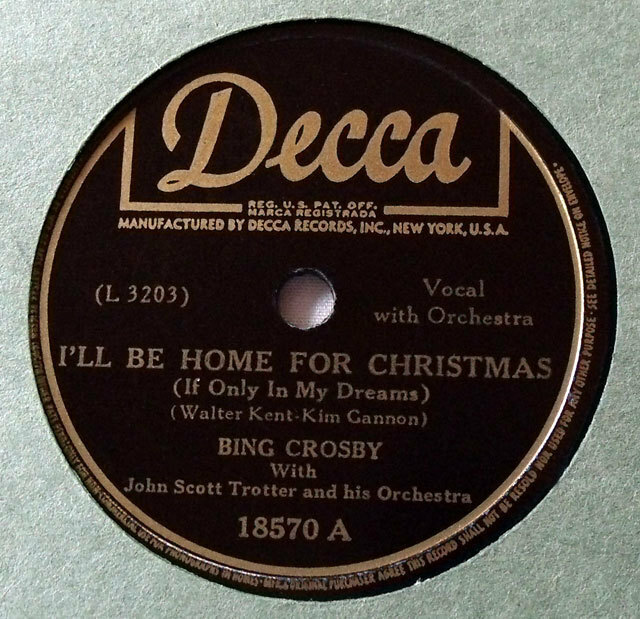 Bing Crosby crooning the holiday classic, I’ll Be Home for Christmas, is a tune echoed through many a home this time of year. First released around Christmas in 1943, the song is written from the perspective of a soldier serving over seas during World War 2. While the melody is one that lingers in our minds, the meaning of the song is actually quite somber as the closing line reveals that being home for Christmas isn’t quite a reality just yet. I just recently learned of an amazing story that relates to this song and it occurred the very same Christmas this holiday classic was first released. While I’ll Be Home for Christmas was not written about this account, it very well could have been. I come from a military family. My grandfather served during World War 2. My dad went to West Point and served in the Army for a number of years so those who serve our country have a special place in my heart and this story about the crew of the Battleship North Carolina will now forever be cemented in my mind when I hear I’ll Be Home for Christmas around this time of year. 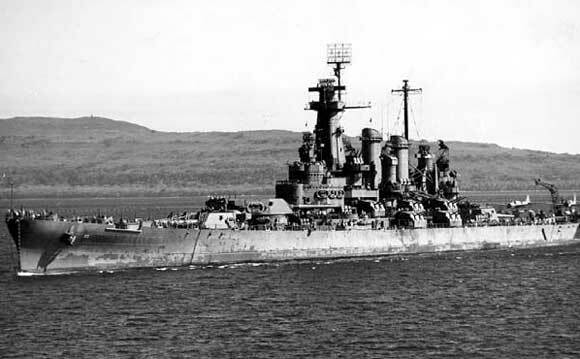 The story goes that around Christmas in 1943 the chaplain on the Battleship North Carolina knew that the crew was feeling homesick as they were expected to still be overseas during the holiday season. He had an idea and collected $5 from every crew member that had children back home. The chaplain made a list of all that gave him money for their children at home and he sent that money along with the addresses of the sailor’s home to Macy’s department store. The request was made for Macy’s to buy gifts using the money provided for the crew’s family and have the gift mailed to their homes in time for Christmas. As Christmas approached, the service men on the ship gathered for the annual Christmas show that involved songs, skits and entertainment for the troops aboard the Battleship North Carolina. When the entertainment had ended, the chaplain had a surprise to reveal. When Macy’s received the money from the chaplain along with the list of the addresses, they thought that in addition to just giving gifts to these military families at home, they should give a one of a kind gift to the soldiers as well. Since they had the addresses for all the sailors homes, they reached out to each family and asked if they wanted to come to the Macy’s store and send a special message to their loved one who would not be able to be home for Christmas. The men aboard the Battleship North Carolina sat there and saw their wives, children and loved ones appear before them on the screen as Macy’s had videoed each of their families sending them a Christmas message. These rugged sailors watched, wept and rejoiced. They weren’t home for Christmas, but what made their homes special was the Christmas gift they received on that December 25th in 1943. 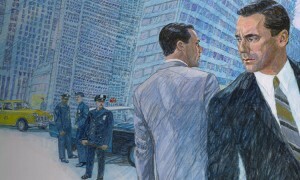 Now that you know this story you can see how that sentiment is also found in the song, I’ll Be Home for Christmas. I know that I can’t hear that song without thinking of the brave men and women serving overseas to protect the freedoms we all enjoy. While the Bing Crosby song has been covered by almost every artist who’s ever released a Christmas album, there’s one version that I think adds a little more to the meaning of the song. Back in 2007, Josh Groban released his take on the song that hearkened back to the military roots of the song’s meaning in a way that no other rendition has. It’s hard to listen to this and not be moved. Below is an embedded video of the song. No visuals are needed. Just listen and you’ll see what I mean. I hope that this holiday season we can all take time to give thanks and reflect on what being home for Christmas truly means and make an effort to show appreciation for those who won’t be home because they’re out protecting our home. Record image courtesy of Wikipedia. Battleship North Carolina image courtesy of HNSA.org. Home Alone - The Best Home in a Holiday Movie? 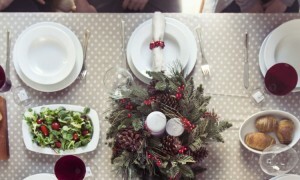 Is There Mistletoe Hanging in Your Home?